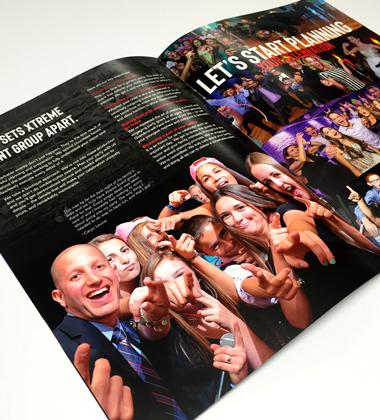 Xtreme Event Group is a high-energy and experienced entertainment company serving Central New Jersey and beyond. However, their marketing collateral did not reflect the enthusiasm and quality that they are so good at providing to their clients; nor did it speak directly to their core audience. 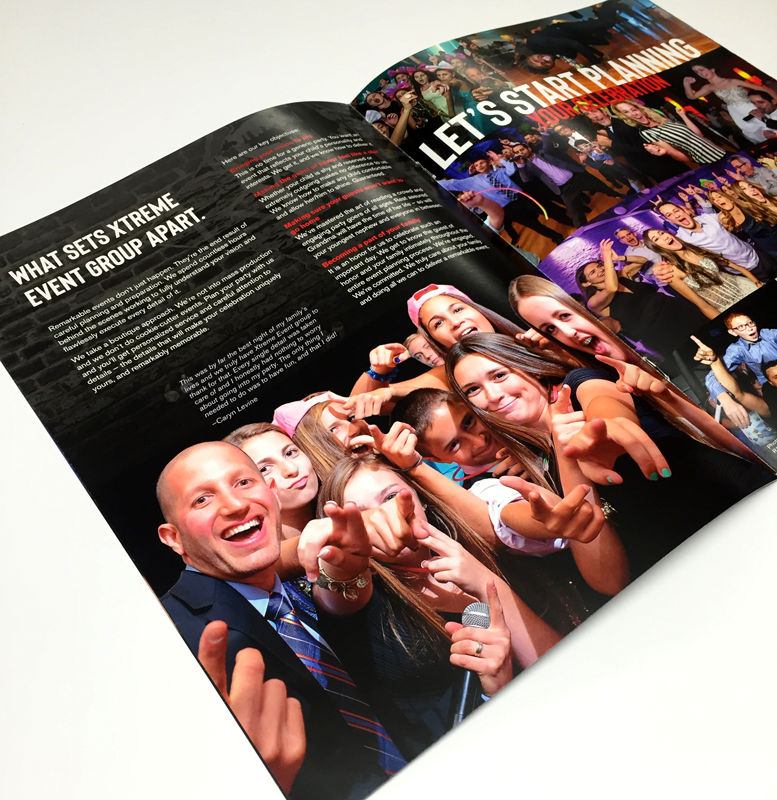 They decided it was time for a new brochure that was custom tailored to families looking for Bat and Bar Mitzvah entertainment. The goal was to create a magazine experience by making it highly visual and incorporating article-like content. Imbue provided both copywriting and design for this 12-page, 8.5” x 11” brochure. Using Xtreme’s custom photography and core branding, we developed a high-impact brochure that appealed to both the parents and kids alike. 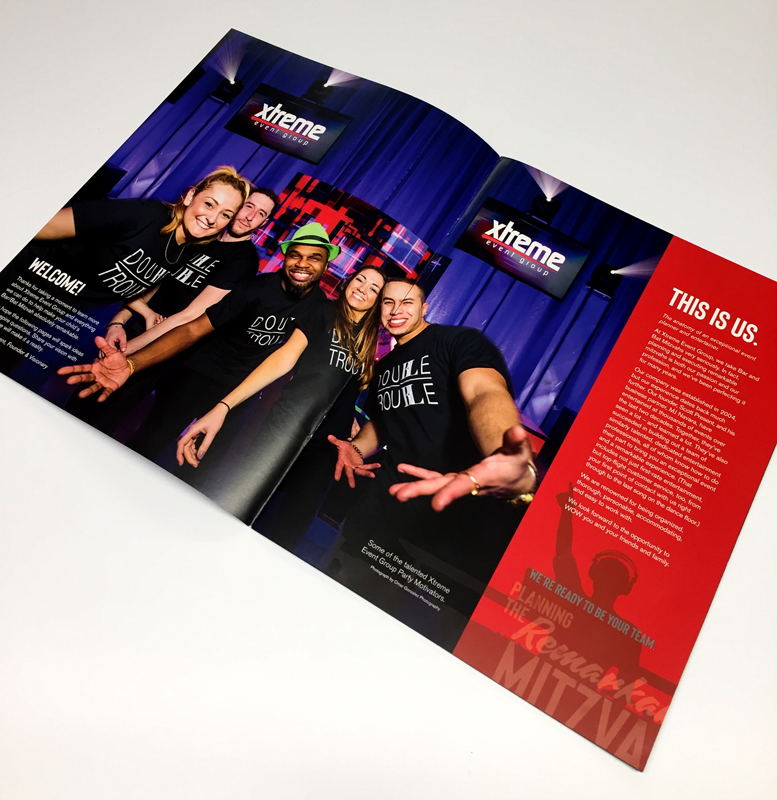 This piece was printed for Xtreme to hand out during presentations at sales meetings and as an information guide for showcases and trade shows. Additionally, it was provided as a digital PDF “magazine” on their website for online searchers. 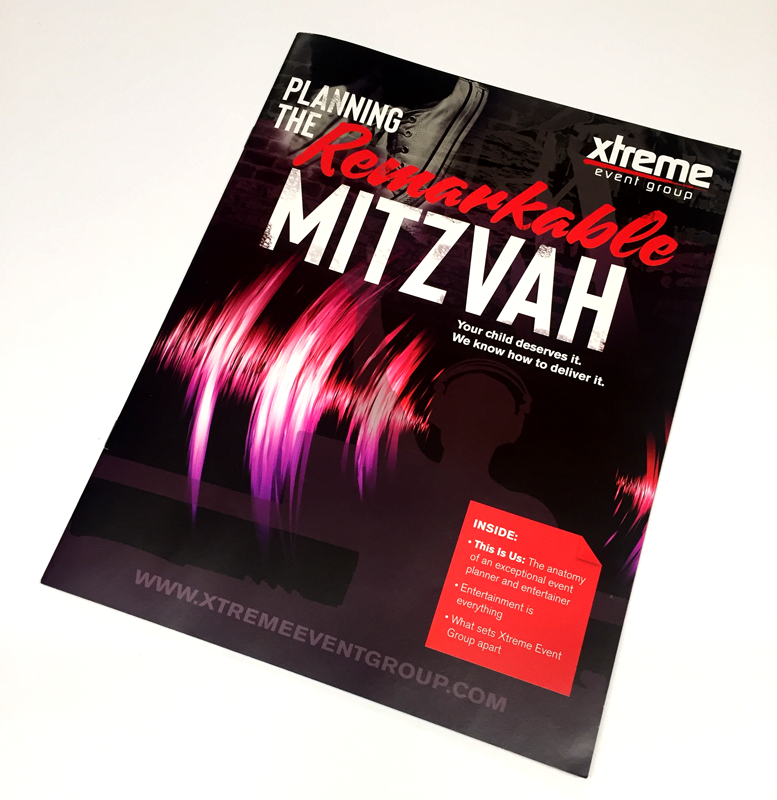 Due to the positive response and success of the brochure, Imbue later repurposed part of the brochure as a full-page ad for Xtreme’s print advertising campaigns.